Zoroastrians (popularly recognized as either Parsis or Iranis) have always been that enigmatic, close-knit community that all of India wants to know more about. An affable community with dwindling population, but a very distinct identity and a host of great achievers in all walks of life, could have ideally been a great fodder for cinematic narrative of Indian films. But, most mainstream films, with a few notable exceptions like Little Zizou, Ferrari Ki Sawari, Being Cyrus and Pestonjee, have stuck to stereotypical and somewhat superficial portrayal of the Parsis. Independent filmmaker and noted educationalist, Oorvazi Irani, steps in to fill the obvious void with her film ‘The Path of Zarathustra’ that blends classical Indian magic realism with the ever-looming question of Parsi identity. The film, with its screenplay written by the noted Parsi author Farrukh Dhondy, tries to answer pertinent questions about philosophical evolution of Zoroastrianism through the journey of its protagonist, played by Oorvazi herself. The film that hits the theaters next month has ignited a lot of curiosity for its brave choice of shooting locations, ranging from a Fire Temple in Mumbai to a secluded beach on the Konkan coast. Made on a shoestring budget, the film draws most of its credibility from its authentic and ‘real’ Parsi locations that have never been seen before on the big screen. Scouting for locations was not so easy for actor-director Oorvazi Irani and her crew, but the team turned this challenge into an opportunity. “We never saw the challenges as obstacles but rather turned them into creative choices”, says Oorvazi. Recounting how she chose to go for real locations rather than opting for the easier but relatively expensive ‘film sets’, Oorvazi says that her biggest challenge was to, first locate a functioning Fire Temple in Mumbai, and second to acquire the permission to shoot inside its premises. The fact that there has never been a film shooting inside a Fire Temple made matters difficult but Oorvazi but her team persisted with their quest for the perfect location till they found a privately-owned Fire Temple in Vasai area of Mumbai. 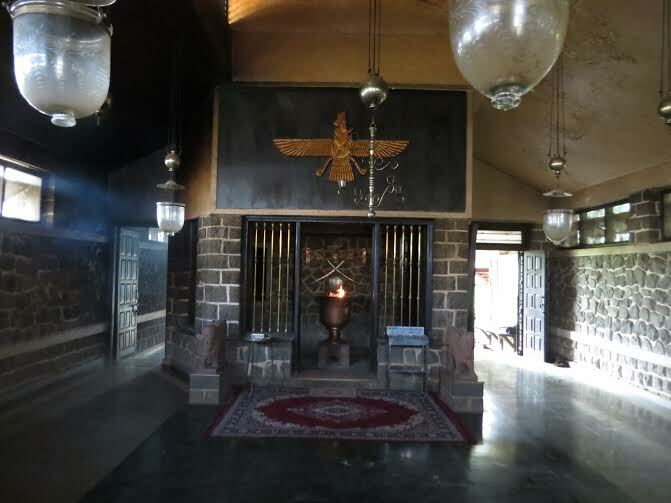 The Fire Temple is central and sacred to the whole premise of The Path of Zarathustra and Oorvazi achieved another first when she shot portions of the film inside the temple’s inner sanctum. The magnificent manifestation of this hard-earned success is well-reflected even in the trailers of The Path of Zarathustra. “I wanted the film’s location to be surrealistic with a touch of beauty”, says Oorvazi when asked about what cinematic quality was she looking at while location hunting for The Path of Zarathustra. Perhaps, this very aspect of surrealism and beauty is well-reflected in the choice of the house where much of the film’s story unfolds. Unlike, the typical Parsi colonies with small, congested flats, The Path of Zarathustra has been extensively shot inside a picturesque house which incidentally belongs to a Parsi actor who is part of the film too. There’s also an exterior scene in the film where Oorvazi meets the fascinating character Zurvan* and this has been shot in the historic Marzban Colony. All the major locations used in the film have a unique Parsi touch and rare signature of authenticity that belies most of the mainstream films that are dished out these days. Oorvazi also fondly remembers how her quest for perfection and realism took her to the crowded Chor Bazar area of Mumbai where a significant sequence of the film has been shot inside a tiny clock shop! 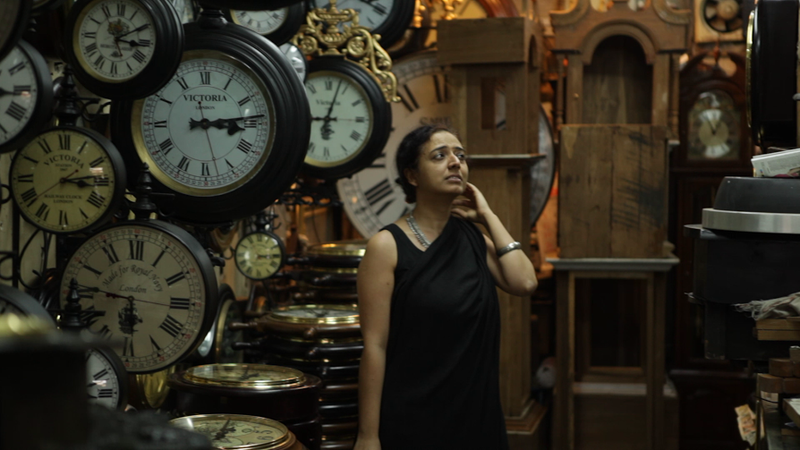 Recalling how the film’s cinematographer, Sudhadeep Dey, had a tough time working around the reflections that originated out of the clocks placed in the shop, Oorvazi says almost the entire crew was kept out of the shop to facilitate a seamless shoot. From the hustle bustle of Chor Bazar to the deafening silence of the Tower of Silence, Oorvazi Irani has taken many a giant leaps through The Path of Zarathustra. To put it in her own words, “I have challenged the conventional notions by going back to a purer and more primitive form of Zoroastrianism.” The film features a recreation of the traditional ‘Tower of Silence’ practice out in the open, in the lap of the nature and its basic elements. The religious tradition of exposure of the dead (or ‘the final charity’) to the scavenging birds has been used as a metaphor for loss, loneliness and the entire vanishing race of the Parsis. The film’s climax has been shot at a secluded beach, with an adjacent hillock, on the Mumbai-Konkan highway. Far from the attention of the maddening Mumbai crowd and deep inside the realm of Mother Nature, the location serves as a perfect last destination of The Path of Zarathustra. Oorvazi Irani considers herself lucky to have found just the perfect locations for her film and candidly says that she would not have compromised on the authenticity of these locations even if she were to work on a bigger budget and canvas. With its inimitable and interesting choice of locations, the film promises to be an engrossing watch. The trailers have already generated quite a bit of buzz amongst the films’ target audiences and all eyes are now on the D-day when the film finally hits the theaters! Zurvan: the idea of TIME being the father of Ahura Mazda and his fallen evil twin brother Angreh Angra Manyu. The doctrine myth was a heresy denying the supremacy of the creator Ahura Mazda and was probably might have been born and propagated in Achaemenid times through the Greek influence on Persia and a transference of the Greek God of time Chronos. According to Mary Boyce, the heresy was revived in Sassanian times . See Boyce, Mary (1957). “Some reflections on Zurvanism”. Bulletin of the School of Oriental and African Studies.